One of Scotland’s largest farming and food processing businesses has repeatedly breached environmental regulations whilst receiving more than half a million pounds from taxpayers, The Ferret can reveal. A slaughterhouse in Coupar Angus run by Hook 2 Sisters, has been ordered by Scotland’s environmental regulator to tackle “vile” odours plaguing neighbours. Other problems include a chemical spill, noise pollution and blood dripping from a lorry. One of its parent companies, 2 Sisters Poultry, which uses the Coupar Angus site as its registered head office, has been given £543,000 in the last five years by the government’s economic development agency, Scottish Enterprise (SE). A related firm – 2 Sisters Food Group – was given £30,240 by SE. According to data gathered by the Bureau of Investigative Journalism, Hook 2 Sisters operates more than one in three of Scotland’s 102 intensive farms. The 2 Sisters Food Group is the UK’s largest supplier of supermarket chicken and is currently caught up in a scandal over food safety records and hygiene standards at its plant in West Bromwich. The Scottish Environmental Protection Agency (Sepa) received more than 75 complaints about odours from the Coupar Angus abattoir between January 2016 and August 2017. Sepa officers described the odour as “blood/nauseating”, “viscera”, “manure/ammonia”, and “burning and vile”. In recent years there have also been complaints about spillages, factory noise and waste attracting scores of seagulls. One pollution incident caused foaming at Coupar Angus sewage works. The incidents have caused Sepa to give the abattoir a draft pollution compliance rating of “poor” for 2016. It was previously rated poor in 2014 but “excellent” in 2015. The site’s use of water – which is rated separately – was also deemed “poor” in 2015 due to a 20 per cent over abstraction of water. Taking too much water can “threaten the ecology of Scotland’s rivers and reservoirs,” according to Sepa’s website. The local MSP, Scotland’s Deputy First Minister John Swinney, has repeatedly written to 2 Sisters about the smells – and is now writing again. “I am very aware of public concerns in relation to reported odour problems at the 2 Sisters factory in Coupar Angus,” he told The Ferret. According to a local action group, 2 Sisters Coupar Angus Pollution Watch, the stench from the factory is “nearly as bad as ever.” The group’s founder, Coupar Angus resident Michael Gallagher, said that he had made new complaints about smells from the plant in recent weeks. The factory’s odour has been a recurring issue throughout the 20 years that he’s lived in Coupar Angus, and pre-dates 2 Sisters’ role as operator, he said. But the problem escalated in early 2016. “Local people really started making a concerted effort to make sure that they phoned Sepa every time there was a bad smell,” he said. There had been an improvement since’s Sepa crackdown “but there are still days when it’s pretty rough,” said Gallagher. Sepa said it would still continue to inspect the factory regularly. “Sepa has historically received several complaints regarding odours from the 2 Sisters Poultry Limited factory in Coupar Angus, however, at the time of writing, the situation appears to have improved,” said a spokesperson. According to Scottish Enterprise, one reason the company had been given funding was to help combat pollution. “Our support will help the company create 100 new jobs in Coupar Angus, secure capital investment, improve efficiencies to reduce its environmental impact and support skills and training,” said an SE spokeswoman. “The 2 Sisters Group employs a significant 1,800 people in Scotland and we have worked with the company to develop and enhance its business operations in a range of areas including staff development, environmental and operational efficiencies,” she added. Data gathered by the Bureau of Investigative Journalism and passed to The Ferret, found that Hook 2 Sisters operates more than one third of Scotland’s 102 intensive farms. These are farms which have a capacity of more than 40,000 poultry, 2000 pigs or 700 sows. The company, a joint venture between 2 Sisters Food Group and P.D. Hook (Group) holds 23 Scottish intensive poultry farms, while a further six each are held by P.D. Hook (Breeders) and P.D. Hook (Rearing). 2 Sisters Food Group is also the UK’s largest supplier of supermarket chicken. It was recently accused of printing incorrect use-by dates on its packaging which could trick customers into eating meat past its use-by date. Tesco, Sainsbury’s, Marks & Spencer, Aldi and Lidl, which stock the group’s poultry, have all promised to investigate the allegations following an undercover probe by ITV and The Guardian. In April, The Ferret and the Bureau of Investigative Journalism identified the 2 Sisters poultry site in Coupar Angus as one of seven slaughterhouses where serious breaches of welfare rules in Scotland had been highlighted in separate audits carried out in 2016 by inspectors of Food Standards Scotland (FSS), the Scottish Government’s watchdog. A company abattoir failed to meet an FSS requirement that animals are “spared any avoidable pain, distress or suffering during their killing and related operations.” Its facility had met 77 criteria, and was graded as satisfactory overall. UK-wide, P.D. 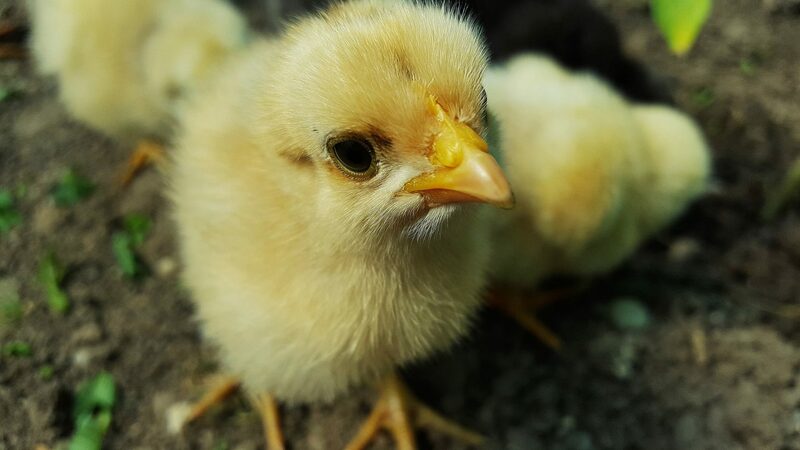 Hook (Hatcheries) has the capacity to hatch over 10 million chicks and 6 million chickens per week, according to its website. It employs 1,600 staff throughout its group of companies. Its website states that it ensures “the highest standards of bird health and welfare”. But campaign group Compassion in World Farming said that UK broiler chicken production comes with serious animal welfare problems. “The broiler sheds are so overcrowded that as the birds get bigger, one can barely see the floor so thickly is it carpeted with chickens,” said chief policy advisor Peter Stevenson. Scotland now houses dozens of “mega-farms” mirroring the growth in industrial-scale farming across the UK. By identifying UK farms which compare to the US definition of a mega farm, the Bureau found at least 792 to be operating across the UK as of July 2017. 48 were found to be in Scotland. The US Environmental Protection Agency (EPA) threshold for a Concentrated Animal Feeding Operation (CAFO) or mega farm is 125,000 broiler chickens, 82,000 laying hens, 2,500 pigs, 700 dairy cattle, or 1,000 beef cattle. Fife has the highest concentration of farms that match the mega farm definition with nine, followed by Aberdeenshire with seven. Perth and Kinross has six, Dumfries and Galloway five, and Angus four. Edinburgh, the Scottish Borders and West Lothian each have three. Clackmannanshire and East Lothian each have two, while Dundee, Moray, North Ayrshire and Stirling have one a piece. The vast majority of mega farms in Scotland are poultry – 36 in total – followed by pig farms, of which there are seven, and dairy and beef, of which there are five. All of Fife’s nine mega farms are poultry. Aberdeenshire is top for pig mega farms, with five, and Dumfries and Galloway has the most dairy and beef mega farms, with three.